This unique clock is hand-cut, hand-made, and completely one-of-a-kind! This work is made with fiberglass and inlaid images and accented with gold foil! 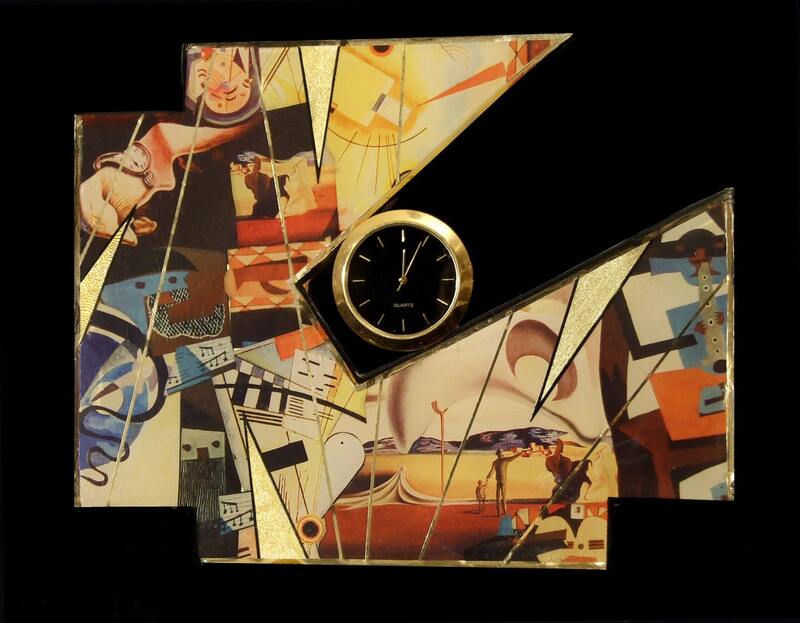 Featuring the work of great artists Kandinsky, Picasso, and Dali, this uniquely shaped clock is sure to be a statement piece in any home! Also great as a gift for any occasion!